HomeArticlesWho Burnt Ali Dawabsha to Death? Hardly a day goes by without a Palestinian being killed by Israelis. Sometimes, they are killed by the occupation army and on other occasions they are killed by extremist Jewish settlers. Palestinians are being killed outside the context of confrontations, throwing stones and shooting bullets. It is fairly obvious from the behaviour of Israeli soldiers that they are entertaining themselves by killing Palestinians. This is evidenced by the fact that some Palestinians are killed in their own homes or on their rooftops even when they have no intention of throwing stones at the soldiers. Every time a Palestinian is killed, the Israelis find a justification for the soldiers’ criminal behaviour. They always come up with some idea that allows the criminals to escape accountability. 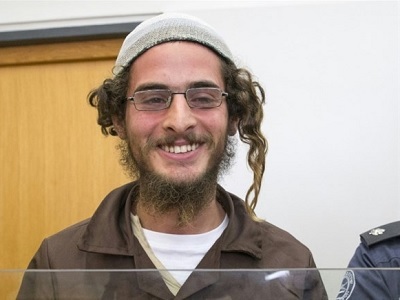 Last Friday, Jewish settlers committed another crime. They launched an arson attack on the Dawabsha family in the village of Duma, near Nablus. They burnt 18 month old Ali Dawabsha alive while his parents suffered very serious injuries. Palestinian Authority President Mahmoud Abbas is paying for their treatment out of his own pocket rather than from the PA treasury, as he pledged to do. The Palestinians, especially officials, attacked the Israelis over the burning of the child and criticised, condemned and cursed their occupation. They all held the occupation responsible for the crime on the grounds that it is the occupation authorities who arm and protect the settlers and give them the freedom to do as they please in the West Bank. Reading the statements issued by the various factions, it is easy to imagine that the Israeli occupation authorities are respectful and disciplined, and would not allow such criminal acts to be committed against the Palestinians. All of the statements and comments made by the Palestinian factions and political statements overlook the nature of occupation when it calls on the Israeli government to rein-in the settlers and control their soldiers’ bullets. Occupation by definition is a criminal and degenerate status that contradicts the principles of human rights, the UN Charter, international law and international morals and ethics. The Israeli occupation is hateful and despicable by nature and it works against the people. It subjects the lives, interests and property of the Palestinians to constant danger. The occupation is oppressive and brutal and innovative in finding new ways to control people and keep them fearful. It always works to spread terror in the hearts of those living under it. In the circumstances, holding the occupation responsible for killing people and confiscating their property is considered to be an attempt to avoid the problem. However, holding the Israeli occupation responsible for its crimes is not only a confirmation of its behaviour and definition, but is also useless. Those who are responsible for the occupation’s continued brutality include those who live under occupation without resisting it. To such people I would ask, if the Israelis rein-in the settlers, will it be acceptable? Many lands have been colonised and their people placed under occupation throughout history and the only way that they obtained their freedom was by confronting the occupation, making it hell for the occupiers to stay. Some Palestinians and most Arabs talk about the Israeli occupation’s responsibility for its crimes, but they do not talk about the absence of a Palestinian-Arab plan to deter the Zionists and remove the occupation. An occupying force does not stop its crimes through moral or legal arguments; it stops when it is confronted by a deterrent which makes the occupation too costly to maintain. The Palestinians and Arabs have not developed a long-term plan to confront the Israeli occupation, although many have exhausted themselves trying to please Israel. The only genuine resistance in the occupied West Bank is on an individual level. There is no deterrent so Israel does not hesitate to commit its many crimes; it knows that there will be no Palestinian reaction, but if there is, it will be tame. Israel knows that the Palestinian arena is angry over the burning to death of the child, but it is also aware that the Palestinians do not have a driving force that will generate momentum for a large scale movement that will push the occupation into a corner. This is due to the deterioration of the national culture in favour of the consumer culture. In addition, resistance is actually – and perversely – prohibited by the Palestinian Authority. Rebels or those intending to resist are persecuted by the Palestinian security services in accordance with the coordination with Israel. Countless rebels have been arrested and tortured by these security agencies. This security aspect is the primary reason for Israel to be happy to sign agreements with the Palestinians, Egyptians and Jordanians. Every Arab who wants to be linked with Israel by means of agreements must become a loyal protector of Israel’s security. Those who are coordinating in terms of security with Israel and cooperating against Palestinian rebels were the first to condemn the arson attack which killed young Ali Dawabsha. However, these same individuals will wake up tomorrow morning and continue their security coordination with the occupation. They are not ashamed of lying to the people; many actually enjoy lying to them. The PA hates telling the truth, and there are those who hate hearing the truth and prefer to remain blissfully ignorant. The issue is not limited to security coordination, but also includes the defence of settlers and providing them with protection. If a Palestinian throws a stone at a settler, the Palestinian security forces will immediately go after the boy who threw the stone and detain him. They won’t tackle the rampant settlers. In the past, the streets of the occupied West Bank were under the control of the Palestinian people, who could walk around the territories and feel safe. The settlers only moved around in vehicles with armed guards. Now, they are spread across the streets in the West Bank because of the PA’s obligations to the security of Jewish settlers and Israelis in general. Those who leave the doors to their homes open are inviting thieves, criminals and thugs to attack them; this is exactly what is happening in the West Bank. The doors have been left wide open and the thugs are infiltrating the area with nothing to stop them. 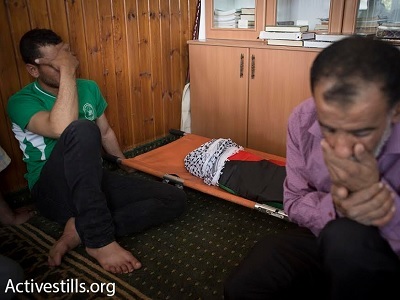 As such, although it was Jewish settlers who burned Ali Dawabsha to death, we are all responsible for the negligence of Palestinian security and we have given the Israelis the opportunity to disregard us and our capabilities and go on attacking us. Countries around the world generally resist oppressors and dictators. This is not a fad or a phase, it is a historical fact, but we are departing from it during this black phase in our history. We want to free ourselves through appeasing our enemies and arming ourselves with weakness, weeping and wailing. Our actions will not be our salvation; instead, it will give the Israelis more ammunition with which to attack us. International law and international decision-making created Israel. It displaced the Palestinian people and continues to do so, expelling them to refugee camps and various corners of the world. Palestinian officials always say that Israel is violating international law and that it does not adhere to international legitimacy. This is true, and the occupation in itself violates all international, religious, moral and historical laws, conventions and norms. However, there is one sort of legitimacy that Israel holds on to, and it is the most important type of legitimacy in this world which lacks justice; the legitimacy bestowed by force. The strong trump all and the world’s laws, values and moral principles all collapse in the face of brute strength. There are countless examples of this around the world. The ICC ruled that the wall built by Israel is illegal, but what happened? Israel continued to construct the wall and no one stopped it. Now we are turning to the ICC for help; what if the court decides to convict Israel? Which international measures do we expect to be taken against it? I do not expect anything to be done. The decision to convict Israel will be like all the other decisions that were made on the international level; words on paper but little or no concrete action. We should not count on the courts or so-called international legitimacy; we must only count on our own hands and efforts. The decision to convict Israel may affect its status in the world and it may contribute to its isolation, but it will not liberate Palestine or allow the refugees to return. The question that we must ask when evaluating any step taken against Israel is how will it change the daily reality of the Palestinians on the ground? If a step or decision is not reflected on the ground, then it will not change the conditions of the Palestinians. This is similar to the governments formed by the Palestinian Authority, despite the fact that they already know these governments do not control or govern anything. We have strong arguments to make in the international arena, and despite the strength of the truth and the Palestinian and Arab arguments, will still not be able to convince any countries to take measures against Israel. We also have been unable to influence the UN Security Council to make decisions similar to those it makes against the Arabs and Muslims. Why? We choose to bank on our vulnerability. We have relied heavily on our weakness, thinking that it will generate sympathy and compassion for us, following which the colonial countries will put pressure on Israel by adopting harsh sanctions. Our reliance on our weakness may be a unique case in human history. Historically, we have seen that individuals and nations build up strength in order to face challenges in their various forms, but the Palestinians have preserved their weakness, especially during the years when the PA has been present to solve their problems. The PA has been very cautious in the process of unifying the Palestinian people and building new strategies to take advantage of the moment and popular strength required to deter the enemy. The authority does not see any way to fulfil Palestinian ambitions other than through the occupation, so it works on maintaining the weakness now witnessed in the West Bank, and even tries to deepen it in order to please Israel and the Western countries supporting it. This is a very strange political theory and it should be documented by the students of political science. There is a belief within the PA that preventing Palestinian rebels from resisting and confiscating their weapons actually serves the interests of the people. The justification for this is that Israel will be angry if the resistance spreads in the West Bank, and it will retaliate by making the lives of the Palestinians even more difficult by imposing new military checkpoints and curfews, demolishing more homes, preventing Palestinians from traveling, and so on. But what is better for the Palestinians? Remaining quiet and not resisting or allowing their lives to become a living hell? The answer from the PA is that we must acquiesce in the face of the occupation. In this, the Palestinian Authority is keen on protecting the interests of the people even when it means that the Israeli occupation remains in place. It is clear that the national Palestinian interests have now become completely linked to the survival of the occupation. This is a new political theory that must also be taught at universities.